Proper blog monetization is one of the most vital and distinguishing feature between a newbie blogger and a seasoned pro. …and makes the money like there is no tomorrow! Now, I believe, it’s time to answer some of these questions for you! What I demand is that you grab the answers as I make them available. If something isn’t covered here, be gracious (and bold) to blast me questions in the comment box below. Shall we explore the almighty 9 blog monetization tips no one will ever tell you? Right — I’ve engaged my gears already. By the way, my name is Akaahan Terungwa. But, forget the name for now…you’re about to learn something you will pay for elsewhere and still not get! 1. Adsense Is Good — But Not Great: Get Used To This! Adsense! That two syllable word is one of the very first words a blogger gets to hear — and desire. The promise is that once you have Adsense running on your blog, Google will be very eager to give you money from simple clicks (which should be easy to make happen anyway). What you are not told however is that Google Adsense is just an average (sorry), poor monetization method when compared to obviously superior models like selling your product directly or offering to sell for someone via the instrumentality of affiliate marketing. However, that rejection from Google has killed more great blogging dreams than even almighty NEPA (sorry, PHCN). Tip no. 1 is thus simple and quite straightforward: Adsense is no king, neither does it hold the keys to the doors of blog monetization! Reason? They got something better: their own products and affiliate marketing. Go, learn the first lesson (after reading the remaining 8 of course 🙂 ). One of the greatest mistakes you’ll ever make as a blogger is to equate raw traffic with polished, finished conversion — ripe and ready for the taking. The two are not the same — and never will be. Unfortunately, many newbies believe that once a site has a ton of ‘hits’, all is well (in the voice of Rancho)…unfortunately, no bigger mistake can one make than this. Unfortunately (still), such newbies have no idea that some unintelligent analytic reports also include search engine bots and other non-humans spiders crawling the web. With such great ignorance, you’re likely (as a newbie) to pay someone on Fiverr to write some script that will generate ‘traffic’. Or worse, join some auto surf program. Now, if you’re ready to turn pro, you’ll push it right to the pit of hell where it has emanated from! Lesson 2. 3. The Money Isn’t In The List…Stop The Lies! “The money is in the list…” Biggest scam ever! The money isn’t in the list! Quote me anywhere! Reliant on you for the knowledge you provide. A responsive list opens and clicks through, a targeted list is one that is comprised of persons who really are interested in what you are saying (not some random, bought list) and a list that is reliant on you for knowledge is a list that trusts you. 3 very special characteristics. Does your list have them? If yes, congratulations! If no, shut up and listen! Tell me, does that make sense? Therein lies lesson no 3. Thanks to Facebook groups, Nairaland and blogs that don’t take comment moderation serious, every update or comment is followed by a URL powered by Blogspot or WordPress! What many of these newbies (maybe even you) fail to understand is that most of these platforms contain visitors who are not interested in what you are saying (even if you are promising them overnight riches or the exact location of the Philosopher’s Stone)! What’s the point? Driving untargeted traffic only ensures that your visitors bounce away immediately they land on your site! If someone will bounce away, why bother even inviting him/her over? To monetize like a true professional, focus on promoting your site where you believe know that your audience will be waiting, eager to devour what you have to offer. Why waste precious time trying to sell ice to the Eskimos? Learn to sell them room heaters instead! BTW, that’s tip number 4. It’s sad — and quite pathetic; but the simple truth is that you’re never going to make money online with your current strategy if you have not factored in your audience and what they really need + what really makes them tick. Without this basic information, simple as it seems, you’ll be enjoying a merry go around so far as monetization is concerned only to begin again! However, to master the monetization process of your blog, kindly understand what works best with your audience. Ask them. If they are very reluctant to divulge, use your analytics reports and get some basic data about your community; for only when you truly know your audience can you offer them something they cannot resist. [Quick question]: would you opine that an entertainment blogger would be able to lure his readers to subscribe to his mailing list using as incentive, an eBook on the basics of programming? Newbie bloggers usually start with a well-defined niche. However, after a few months of making no money blogging, they imagine that the pasture is certainly greener at the other end and off they go! They spend some time on their new found niches and then, discover to their utter dismal that the new niche too isn’t productive. Then, they do something really clueless: they foolishly brilliantly combine all the niches that they imagine are lucrative! And that is the point you lose all and embark on a journey of no return! Point 6. However, it is wise to note that some niches are by nature quite inferior…if you find yourself in them (and are interested in making money) you’ll wind up waiting for an eternity! This tip, perhaps will guide you, appropriately. 7. The Banner Ad Is Dead — Don’t Imagine Your Audience Will Resurrect It! Your visitors will not always be in a great mood to click on your banners…however, a coated link with a tempting anchor text is really hard to resist. Herein lies an advantage I’m certain you are not already using: intext link advertising. To monetize like a professional, you must understand that your anchor texts are going to be clicked on far more than a bold leader-board banner. You must accordingly make great use of this method as much as you can. However, as you do this, kindly remember two things: there can be something called ‘too much’ and when that happens, even the most sugar coated anchor text would be ignored. Yes – it’s really that simple and straightforward. 8. An Impressive Alexa Rank Means Nothing. Really. When I came online as a blogger, roughly 3 years ago, I was preoccupied with one thing: my Alexa rank. In summary, a great blog was determined by a great Alexa rank! I toiled. And toiled. And toiled. At last, I hit the Alexa first 100k. Then, hit the first 90k. Then 80k. But, unfortunately, nothing happened. Instead, small sites (which were nothing compared to mine because they read something like 400,000) were busy making money via means like direct product sale and affiliate marketing. I pushed further – then made a measly $30 – and that was all my impressive Alexa rank could give me! I learnt my lesson (so that you could learn off me). An Alexa rank, when great, ensures a good feeling. However, it stops there – nothing more. In your monetization efforts, do not for a second mistake the two (Alexa and money); you’ll only get your nose stuck in thick mud! The 9th tip is simple: there are actually no tips or rules so far as monetization is concerned! What?! So, does that mean that I have only wasted my time here? Does it work — or make sense? By all means, adopt. You feel you are an isolated case? Formulate your own rules — rules that you are certain will work for you! C’mon, Don’t Fold Your Arms…Talk To Me. Agree Or Disagree. But Talk. Writing this article took some time; time that I would have used in playing with my son. However, since I denied him that time and decided instead to write quite a thought provoking article for you on this platform, I deserve at least one thing back: Comments. My training bothered on talking and the more of it I see, the better my brain becomes 🙂 Now, don’t be the one to cause me some brain mishap! That’s one hell of a harsh truth. I know. You might have stumbled upon testimonies — real and fake — that made you think everyone can succeed at blogging. But the truth is that blogging is just not for everyone. It’s better for you to understand this reality as early as possible, so you don’t waste your time on a venture you’ll never succeed at. This truth is what most Linda Ikeji wannabes don’t realize. And that’s why they keep chasing shadows for years. How can you tell if blogging is NOT for you? Here are 11 signs to watch out for. Blogging isn’t a get-rich-quick scheme. Linda Ikeji blogged for four good years before she started earning some income from her blog. And it took me close to two years to start earning decent income from this blog. So, don’t expect quick returns from blogging. If you think blogging is as simple as setting up a free Blogger blog, publishing some posts stolen from other blogs, slapping up some Adsense ads, and sitting back to watch your bank account fill up, then you’re a dreamer! There’s more to blogging than choosing a niche, setting up a blog, and publishing posts. You need to be creative, so your blog can really stand out from others in the same niche. If there’s nothing unique about your blog, then people will have no strong reason to visit it regularly. Or do you expect people to visit your entertainment blog (for example) to read the same old stuff they’ve read on Linda Ikeji’s blog? No, they won’t waste their time. So, if you lack the creativity required to create a unique blog, I’d advise you to stay away from blogging. 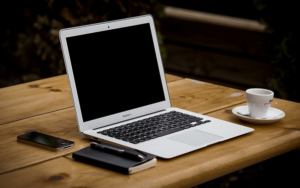 You need solid writing skills to succeed as a blogger. While your writing doesn’t have to be as impeccable as that of an English language professor, it must be good enough to creatively pass your message across to the reader in a simple and clear manner. Remember, to build a successful blog, you’ll need to write a lot because you have to publish new posts consistently. If you’re unable to do that, then you can’t make headway with your blog. And no, not even copy-and-paste will help you. Start a blog that really makes a difference requires parting with some cash. To have a visually appealing blog, you need to use the WordPress platform — which isn’t free. To brand your blog, you’ll need to pay a good designer to create a great logo for you. And to make your visitors check back regularly, you’ll need to set up a mailing list — which usually attracts a monthly fee, too. 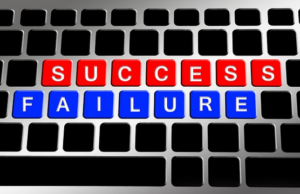 So, if you’re of the never-spend-a-dime-until-you-see-profits mindset, chances are you won’t succeed as a blogger. Truth is, visitors won’t automatically rush down to your blog after you publish each new post. In fact, if you do nothing after hitting the publish button, nothing will happen. To really attract traffic to your blog posts, you need to learn and adopt strategies like SEO (search engine optimization) and promotion on social media (Facebook, Twitter, Google+, etc.). 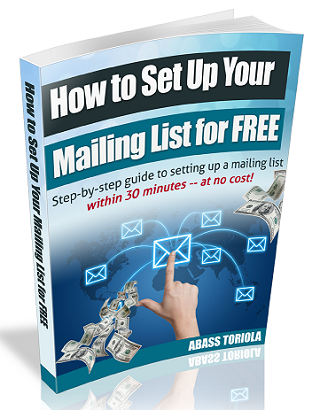 You also need to set up and grow a mailing list as well as network with other successful bloggers in your niche. All these powerful strategies are commonly recommended, but only few Nigerian bloggers implement them. While you don’t need to be a tech guru to start your own blog, you need to be smart. Take your time to learn how blogging works before getting started. If the whole thing seems confusing to you even after trying hard to understand it, then that could be enough proof that blogging isn’t for someone like you. If you claim to have started a blog and are still asking silly questions like “How will a blog fetch me money?”, then you’re just clueless about the blogging thing. Smart up or quit! The blogosphere changes like quicksand. New strategies for blog promotion and growth surface very often, just as old strategies lose their effectiveness pretty quickly. So, you need to keep abreast of trends in the world of blogging, and be ready to implement new working strategies. If you’re a slow or poor learner, you’ll be left behind by smarter bloggers. And you’ll have no other option but to quit somewhere along the line. Blogging for profits is totally different from blogging just for the fun of it. If your aim is to make money from your blog, then you need to treat it like a real business by devoting a fraction of your day to it. When Linda Ikeji first started out, she saw blogging as a hobby and did it for fun. But when it dawned on her that blogging could be very lucrative, she quickly switched to “business mode” by publishing several posts a day. And the result? Her blog fetches her millions of Naira every month. If you only want to blog for the fun of it, then you can publish a new post on weekend or when else you’re less busy. But if you want to really make money from blogging, that won’t work, as you need to publish something new at least three times a week. Publishing frequently every week can be very difficult if you have a day job. But there are no shortcuts; it’s either you create some time for your blog or forget about blogging. You can’t build a profitable blog by publishing new posts at long and random intervals. Oh, there’s actually a shortcut: hire a freelance writer like me to craft quality posts for your blog. Consistency is another hallmark of successful bloggers. It’s better to consistently publish three posts a week than to publish five posts every two or three weekends. So, one of the keys to building a successful blog is to create a plan based on your personal schedule — and stick with it. 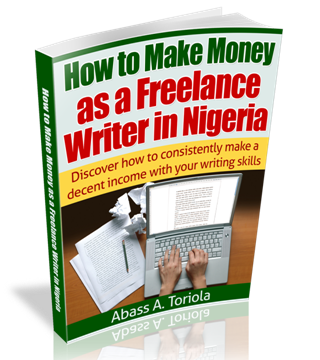 If you’re having problems with consistency, you’ll hardly make a kobo from your blog. Shortly after starting a new blog, many new bloggers feel tempted to abandon it — because it’s not yielding results as expected — and start something new. If you give in to such temptation, you won’t be able to stay focused, and you won’t succeed as a blogger. Growing a blog to the point of success requires a lot of determination and focus. If you lack those, then blogging isn’t for someone like you. Whether you’ve already started blogging or you’re planning to start soon, these 11 signs are good indications for what you should expect. Are you guilty of any of them? Then try to make amends if you’re still bent on building a successful blog. But if you think you can’t really change anything, ditch the idea of blogging right now. Do you think there are other signs I missed? Or do you have any objections or contributions? Share your thoughts by leaving a comment. And don’t forget to share the post on your Facebook, Twitter, and other social media profiles. 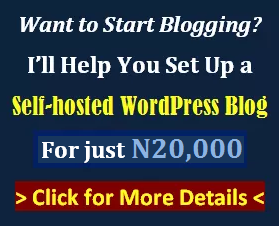 This post is a guest post by Emmanuel Aniekan, an ardent follower of this blog who is now making money online from freelance writing and affiliate marketing. You want to build a profitable online business around your passion and quit your life-straining day job. When there are several million of blogs and websites saturating the internet. In fact, according to Wikipedia, there are over 156 million blogs on the internet. For instance, take a look at the Nigerian entertainment niche. I see several blogs trying to adopt the “Linda Ikeji tactics” by copying and pasting the same news of celebrities all over the internet. C’mon, what the hell is going on? How can you ever get noticed in this large crowd? 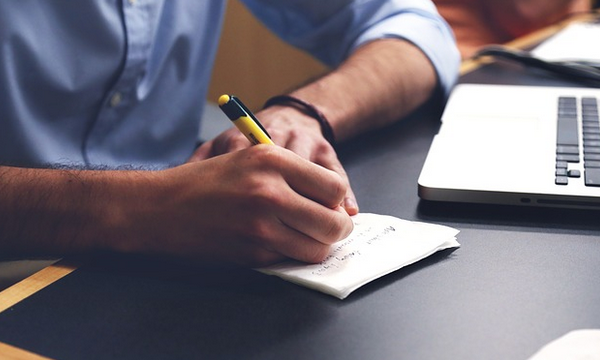 So, what exactly is a business plan and why do you need one for your blog? A business plan is simply a written statement that summarizes the objectives and strategies of a particular business. This will serve as a blueprint on what you intend to achieve and how you’re going to achieve it. In this case, it will be a business plan for your blog. 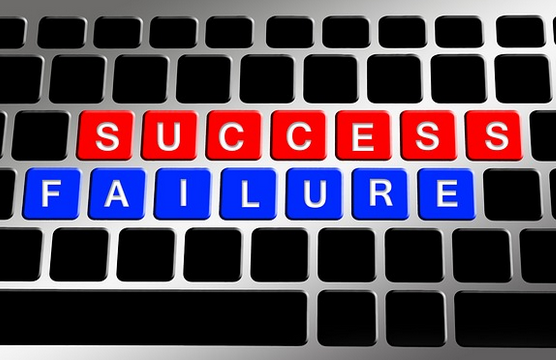 No successful blogger became successful by accident. Great bloggers always have a clear vision on where they intend to take their blog to. People with clear, written goals, accomplish far more in a shorter period of time than people without them could ever imagine. — Brian Tracy. When you know the motive behind your blog, this defines your purpose and creates a good environment for your readers to engage with your content easily. Can you tell a new visitor what your blog is about in 8 seconds? If you can’t do this, then trust me: you’re probably wasting your time. So instead of becoming a “Jack of all trades” that publishes about virtually every topic under the sun, you should define a specific topic you’re can consistently blog about. Instead of chasing the crowd, create a plan to broaden your niche. This will create a unique point around your site. For example, I do see many blogs that feature only copied and pasted job vacancies without offering any helpful tip to readers. If you can share great insights on interview tips or job search tips that resonate with a Nigerian audience. Your readers will love you for it because they can easily implement the tips you’re sharing on various job vacancies. You have to be aware of the true realities of blogging. The competition in the online world is fierce and you’re likely to come across many obstacles and challenges. This post by Abass: 10 Bitter Truths No One Ever Told You About Online Business, is one of posts I actually printed out to keep me aware of what I’m up against. I’d advise you to do the same. Your audience is the people you convey your message to. And when you get the specific people you want to be reading your content, you will be unstoppable. This will help you attract people who are interested in your blog’s topic, increase your traffic and lower the bounce rate of your site. With a marketing strategy, you will know how to find your ideal reader, where they hang out, and how you can reach out to them. This will ensure you have readers who will engage with your content easily. So, instead of using the “publish and pray” approach, you’re putting your content right in front of your audience and they will thank you for it. You definitely have an ambition you’ve set to achieved unless you just want to blog for fun. With a business plan, you can set what you want to achieve within a specific period of time. This could be to increase your search engine traffic, use your blog to launch your products or create an authoritative brand name to attract customers. The competition in the internet is very fierce and if you intend to make money from your blog “blindly”, then you’ll be totally disappointed. Don’t be like other dumb bloggers that start a blog without any planning — only for them to call it quits out of frustration. Define your goals clearly and ensure you’re realistic on how you intend to achieve it. Emmanuel Aniekan is a passionate blogger and freelance writer. 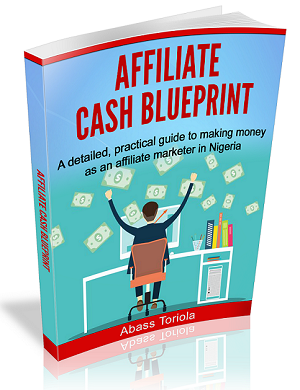 You can join him at Onlinebloggingincome, where he shares practical and easy-to-follow blogging tips. As a bonus, get a free copy book his ebook: How To Create A Powerful Business Plan For Your Blog. You can reach him on Twitter and Facebook.